A counselling professional with more than 30 years’ experience, Benson has counselled and guided numerous patients and partners in various capacities. Benson was previously with Parkway Pantai offering emotional support and counselling to patients, their families, and the hospital staff. A non-stranger to oncology counselling, he was with CanHope in 2012 where he provided psychosocial assessments, conducted individual and group counselling, facilitated support groups and ran workshops for those affected by cancer. His prior capacities covered the Singapore Children’s Society as Senior Social Worker, the Samaritans of Singapore as Senior Assistant Director and Kampong Kapor Family Service Centre as Director. 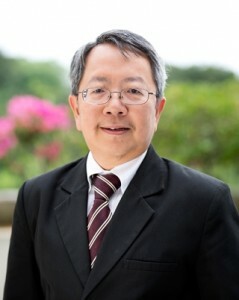 Previous appointments included supervision of undergraduates of the NUS Department of Social Work & Psychology, part-time lecturer at Temasek Polytechnic and the Academy for Human Development, volunteer facilitator with the Juvenile Court, part-time lecturer, personal therapist and clinical supervisor for students of the Graduate Certificate and Diploma programmes in Professional Counselling conducted by Mount Elizabeth Hospital and ECT Academy. Every patient that Benson meets is a source of aspiration to him. He seeks to empower them to master the challenges and dilemmas, as they journey and navigate the crosscurrents of suffering from life-threatening illnesses. Due to his skills and expertise in the area of suicide intervention, he became one of the pioneer trainers in Singapore certified by LivingWorks Education Inc., (Canada).